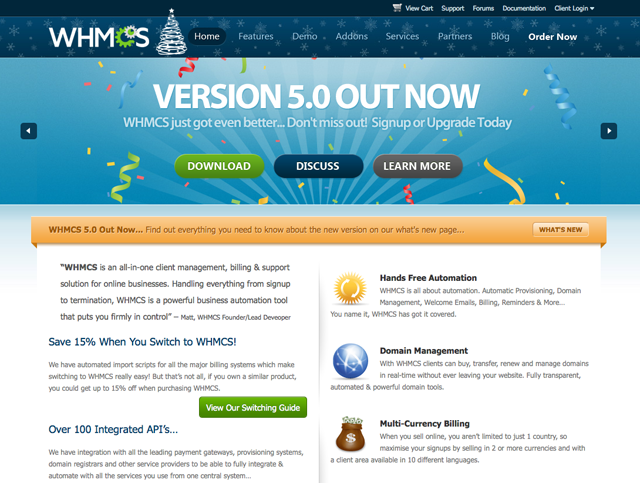 WHMCS Reseller – We are Happy to be Part of the WHMCS Team! We are very happy to announce that we have been added to a list of distributors for WHMCS. 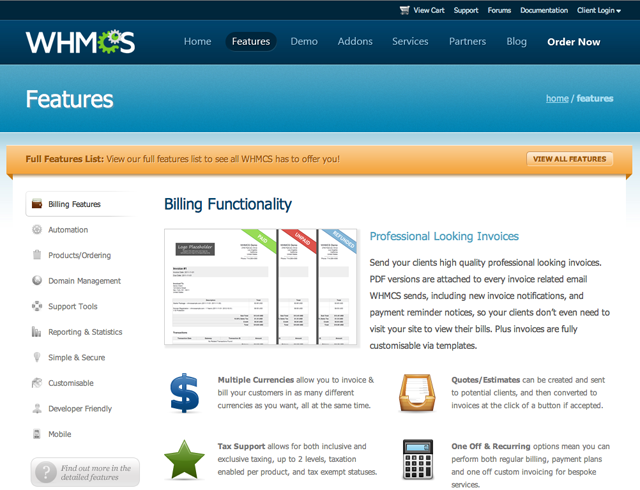 WHMCS is undeniably one of the leading billing system providers on the market today because of its wide array of features and options. As a WHMCS reseller, we are now able to provide you with a WHMCS license that will suit all of your billing system needs. WHMCS provides you with automation services that can really enhance your hosting, web development, or web design capabilities. As a billing system, WHMCS provides hosting companies and web designers with the ability to smoothly automate daily tasks so that you can better manage your business. You can ensure that your invoices are paid on time, customize the invoices, manage your clients’ accounts, and many more so that you can spend your time on other pursuits. 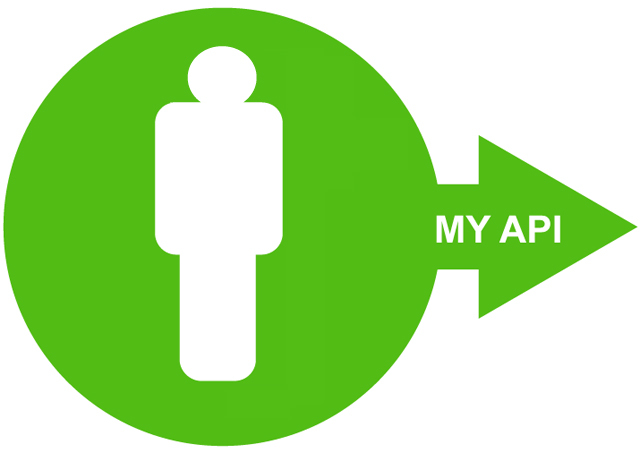 WHMCS makes fully managing your relationship with your customers effortless. In order to provide the best services to your clients, you will need to be able to automate some of the more tedious tasks, and this is why many business owners choose to purchase a WHMCS license to automate their virtual environment. With a WHMCS reseller, you will find the most affordable opportunities to purchase a WHMCS license so that you can take full advantage of the automation possibilities that will not be open to you. If you are planning to set up a hosting business, a WHMCS license may be one of the most important software programs that you will purchase. Not only will you be able to easily scale all of the services offered to your specific online business, but you will also be able to provide a variety of management services to your clients quickly and easily. Are you a software developer? If so, you would be interested to hear about the WHMCS licensing add-on module. The WHMCS billing system licensing module will give you the ability to license your software for external use by your clients. Supporting two different methods of license validation, WHMCS has built a module that can ensure a constant revenue stream for you and your business. This is an excellent addition to any hosting business especially for those that are particularly savvy with module development. WHMCS has always been extremely developer-friendly with open sourced modules and API capability, but now they have taken their product to the next level for developers. 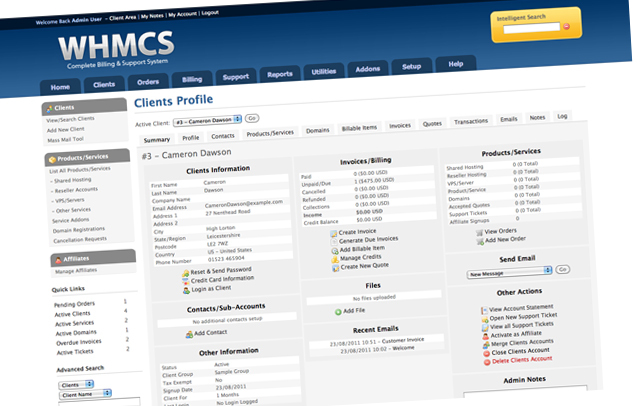 The WHMCS licensing module integrates directly with the WHMCS billing system allowing for automatic licensing provisioning, suspension, creation, and termination. Other features and functionality also provide for automated update periods, and this provides functionality for your customers to only be able to receive software updates for a limited amount of time. Updates are an integral part of module development, and you probably know how important it is to keeping your customers satisfied. You can provide these updates and limit the amount of time that they will be accessible all with the new licensing module for the WHMCS billing system. WHMCS also offers you the capability to add WHMCS modules directly to the interface so that you can take advantage of your own skill. In accordance with the licensing procedures, you can allow customers to purchase anything that you create with WHMCS, and this can lead to a more productive web development experience for you, the developer. WHMCS is always looking to expand their billing system, and really, developers have found a great resource with the program because it is so easily adapted and customized. There are additional features on WHMCS that make software development a breeze so that you can not only take advantage of the excellent features on the program but also create expandable and scalable modules as you see fit. 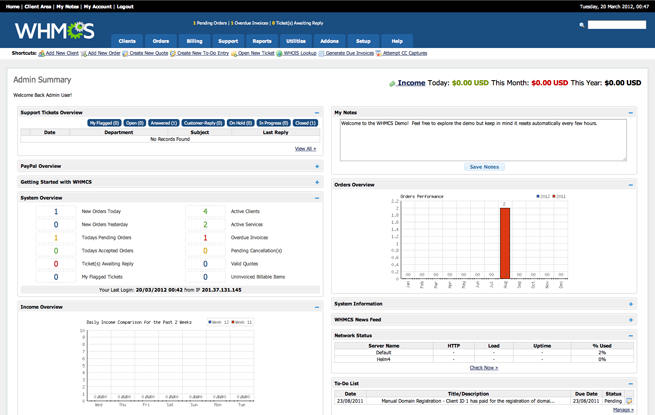 If you need a simple and effective way to improve cPanel client management, then WHMCS is the best tool on the market. You can use this software to give your cPanel customers a more customized and complete virtual experience. The WHMCS billing system offers you so many features in categories like billing and invoicing, account creation, support tools, customer service, domain registration, and many more. If you are in the market for the best billing system software program for cPanel client management, then WHMCS is the obvious choice. With years of experience providing excellent customer support and advanced features, you can increase your business’s potential by adding WHMCS to your cPanel control panel. Your virtual environment will run completely automated with WHMCS and cPanel. You can provide your clients with a streamlined purchasing process and customized invoices that showcase your branding images and logo designs. In addition, WHMCS has been programmed so that it integrates seamlessly with the cPanel platform. cPanel client management has never been as effective as it is with WHMCS. You can use these two programs together to create the best experience for your customers and make the process of maintaining and organizing your data much easier. By licensing WHMCS and cPanel, you can obtain the optimal level of cPanel client management, and you can use the features to propel your business to the next level. Both WHMCS and cPanel are very easily scalable, and the features can be adapted to meet the specific needs of your business. The control panel market has a lot of great programs, but there are not many that are as powerful as WHMCS and cPanel. For a completely automated cPanel client management system, integrating WHCMS into your control panel will give you maximum benefits and allow you to streamline your tasks.